Enjoy a fun-filled, family-oriented day of old-fashioned fun! Listen to the Community Band on the front lawn, crank home-made ice cream and then enjoy a cup! Docents will lead tours of the Byer/Nail House, Toolshed, and the Grounds and you can even take your seat (on time!) for a lesson by our local School Marm in the Eden Plain one-room schoolhouse. 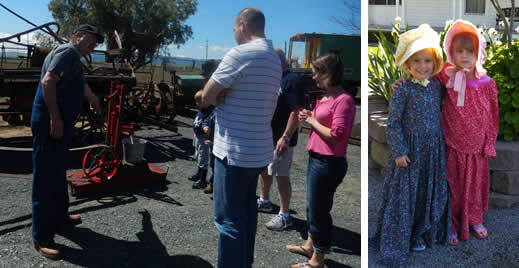 Games and activities for kids and families including milking ‘Bessie’, panning for gold, or playing games from 1800’s. See more pictures from the BBQ in the Gallery. 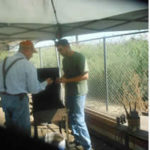 Three membership dinners are held each year to provide opportunity for members to enjoy a social evening with a good meal and a speaker or presentation on a topic related to local history or ongoing programs of the East Contra Costa Historical Society.